After finishing The Turin Horse, I read some quick blurbs on the web about the film. I was curious if anyone had written about the significance of the film’s focus on six days. Not that six days, instead of five or seven, is significant in and of itself, but I wondered nonetheless. It may be that 6 is an even structural number. However, in the case of The Turin Horse, it is likely that the sixth day reflects God’s command that the land “bring forth living creatures,” and then the consequent shaping of humans in His image and likeness. Heavy. Well, it’s hard to approach a film based on a critical moment in the life of Friedrich Nietzsche and assume it to be removed from philosophy. 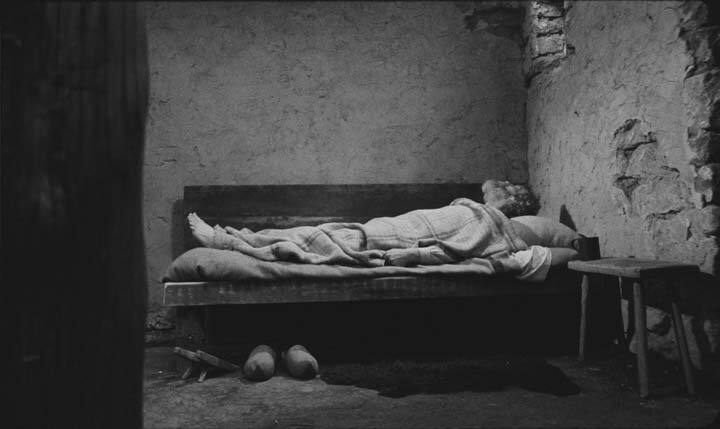 To my–now evident–shame, I have never seen a Béla Tarr film before. There was a screening of the Hungarian director’s seven-hour Satantango (1994) this past spring at the University of Chicago, but I missed it. Damn. And I mean that. The very first scene of The Turin Horse is a long take (the film is all long takes: 2.5 hours long, 30 shots) of the horse and the cab driver going forward brutally, mercilessly into the wind. The camera takes us alongside the horse, then in front and close to its nose, as it breathes and snorts at the dust in its face. It stays with the horse and cab, allowing us to see and feel the resilience of the two beasts to the wind. The melancholy strings–somber, yet oddly soothing, and bound to the Sisyphusian might of the creature and its vast presence within the screen–touched me. I love that first shot. 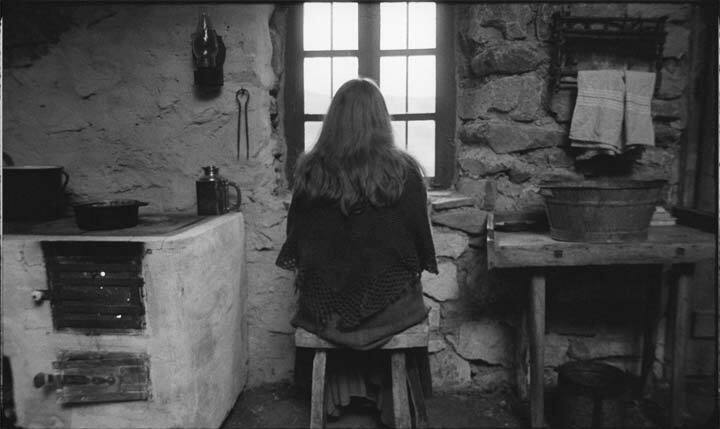 Unlike the narrative expanse of a film like Once Upon a Time in Anatolia, where story and dialogue drive the sound and visuals, The Turin Horse works to dissolve story in favor of visual instance. The meticulous occupation of watching Tarr’s superb crafting of a tactile sense of space pressures us to see his world in its particulars. Tarr is both subtle and exact, in the picture frame of a woman as the daughter packs her luggage box or the lame right arm of the father—which only becomes explicit after repetition and detail. The moments where daughter and father sit at a stool and look out the window at the harsh wind contain, for me, the humiliation and conviction of humanity. The story of Nietzsche and the Turin horse is something of a parable of the madness and cruelty of this earth and a creature’s refusal to abide the lashings of an imposed order. (Read more about Nietzsche and the Turin horse.) This sentimentality is the initiative of the Übermensch. 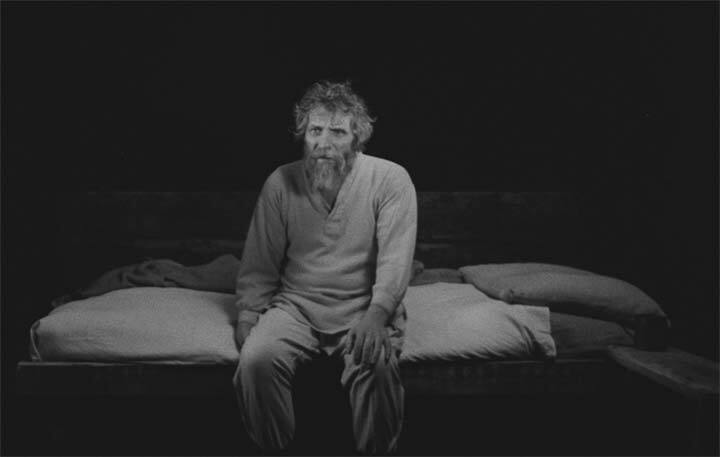 But The Turin Horse isn’t an interpretation of Nietzsche so much as a meditation on those impositions against which Nietzsche railed–order, morality, indoctrination, humanity removed from its animality–which is survival and life as a daily expenditure. It is a hard movie to watch; some people may think it bleak, may think the world “broken” or hopeless. 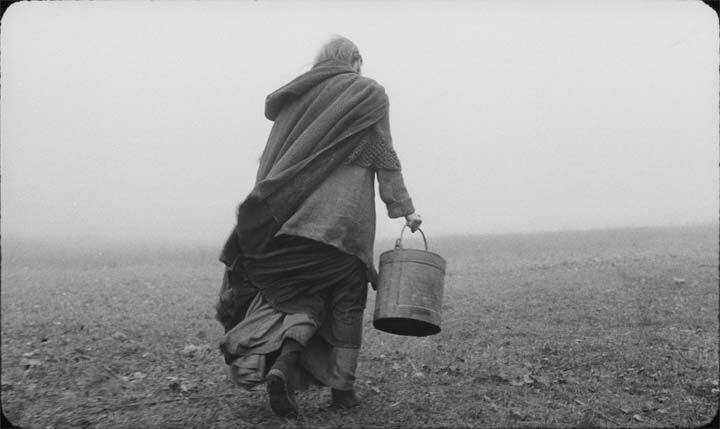 The Turin Horse is cinema where narrative is transposed to light and shadow, to visual instances where a woman pulls water from a well, where a rough hand peels a hot potato. The lingering, omnipresent details of space and livelihood are the film’s metaphysics, and they are our means of understanding and empathizing. We are the horse and Nietzsche. It is really encouraging to me that a film like The Turin Horse was made now, in 2011. I associate this type of film with Robert Bresson (the equine connection with Au hasard Balthazar), Ingmar Bergman, and arthouse films of the ’60s and ’70s–so it is awesome to attach the word contemporary” to Tarr. It is a shot of intellectual and spectatorial adrenaline rush.